The Gir National Park in Gujarat, India is the last surviving natural habitat of the Asiatic Lion. Find out all you need to know and book your tour here. Gir National Park is the last refuge of the Asiatic lion. A sprawling 1412 square kilometre terrain is composed of steep rocky hills, deep ravines and occasional stretches of grassland irrigated by rivers. Gir was established in 1965, and a census in 2010 counted 411 lions here; sightings of the big cat are plentiful. Location: Junagadh district, Gujarat. Nearest airport: Rajkot (160 km), nearest major airport: Ahmedabad (340 km). Prominent fauna: The Asiatic lion is the big draw here, but there are a large number of other wild animals including leopards, jungle cats, hyenas, jackals, civets, mongoose, ratels, antelope, deer and crocodiles. 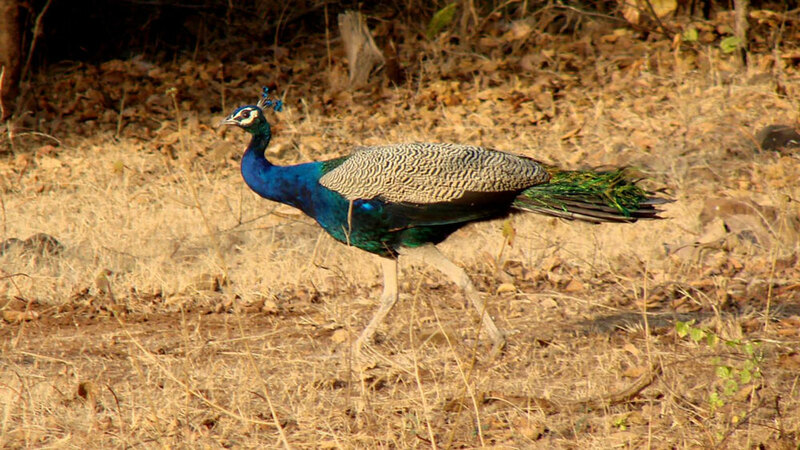 Also more than 300 species of birds, including vultures, eagles and owls. Best time to visit: December to May. Closed from mid June to mid October. Destination Guide: Over the years the lions have got pretty used to people and sightings are plentiful. As a matter of fact, the lion population at Gir has been growing steadily and efforts are on to relocate some of the animals to ease the pressure on Gir. Safaris take place in jeeps thrice a day. Gir is also home to the Maldhari tribe and the Siddis, a community with African origins. The fishing port of Veraval just 36 kilometres away, famous for its dhow building yard, is worth a visit. Apart from huge, hand-built vessels, it also has some historic buildings. The Somnath Temple, known as Shiva's 'eternal shrine' is 40 km away. Other nearby places to visit include the historic city of Junagarh (with Emperor Ashoka's rock edicts dating back to the 3rd century BC) and the beach resort of Diu. Accommodation: The Taj group runs the Gir Forest Lodge, an oasis of luxury in the dry countryside. Other options include the Maneland Jungle Lodge and the Lion Safari Camp.